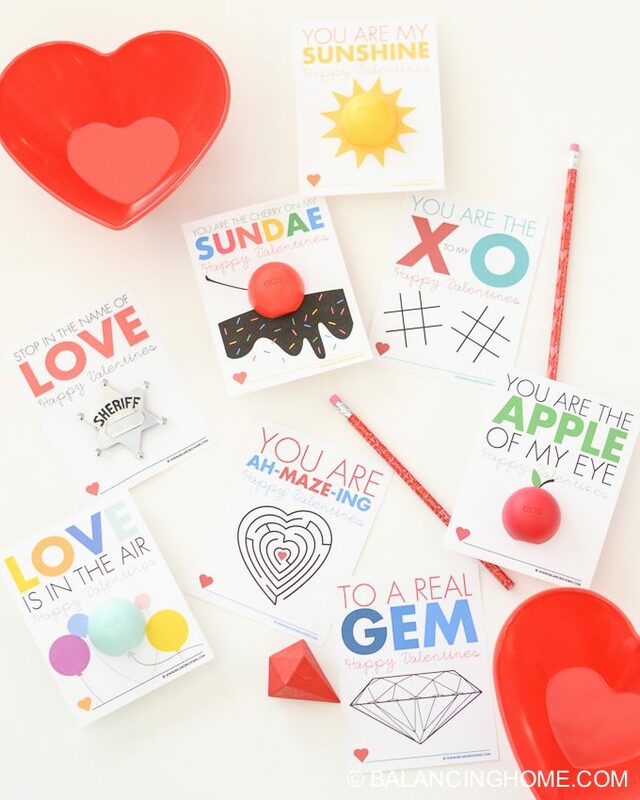 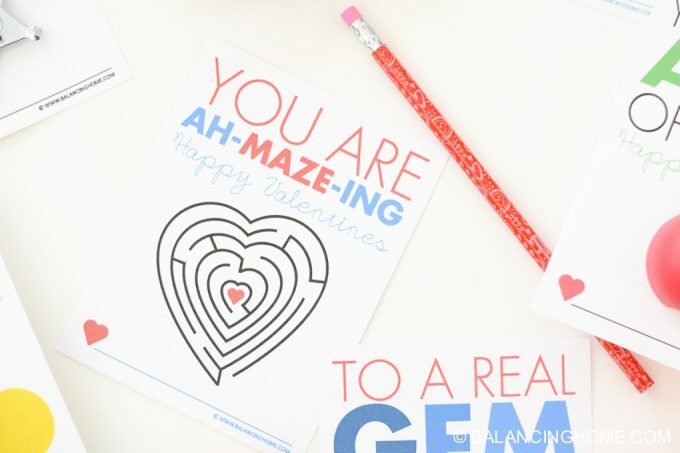 I updated last year’s, You are ah-MAZE-ing printable Valentine, because I wanted it to better fit with this fun collection of non-candy and EOS lip balm printable Valentines we made this year. 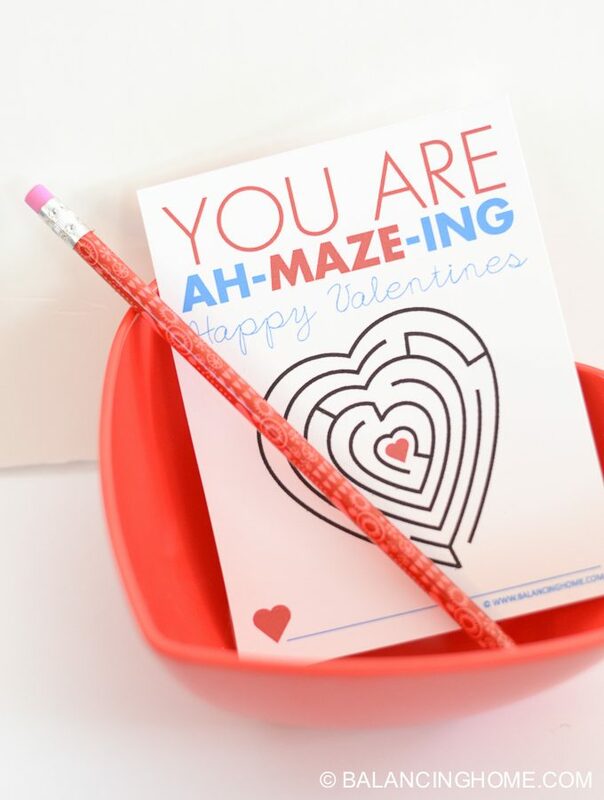 Keep things really simple by using washi tape to tape a pencil to the back. 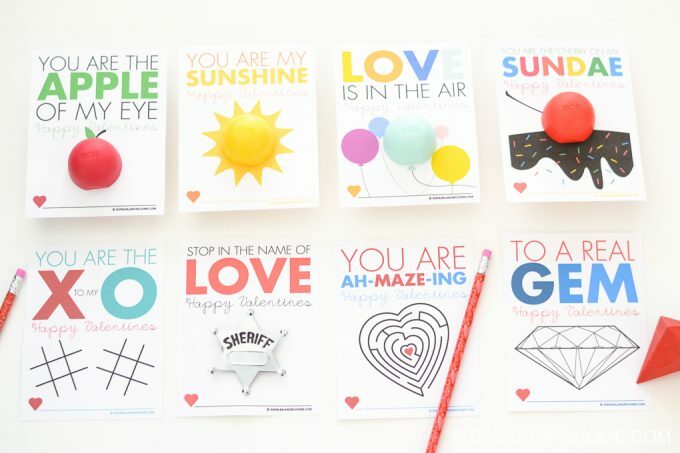 Washi tape looks pretty and comes off easily, without ruining the valentine. 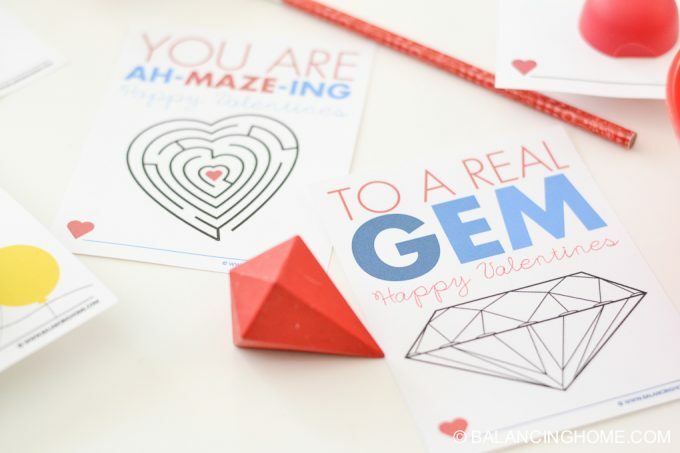 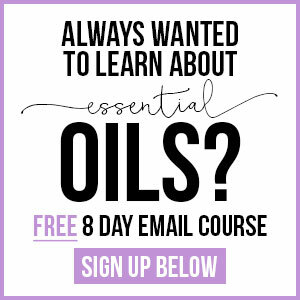 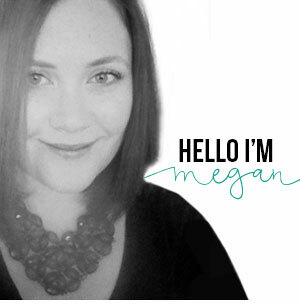 This printable is set to go with four to a sheet and the cut lines are already there for you! 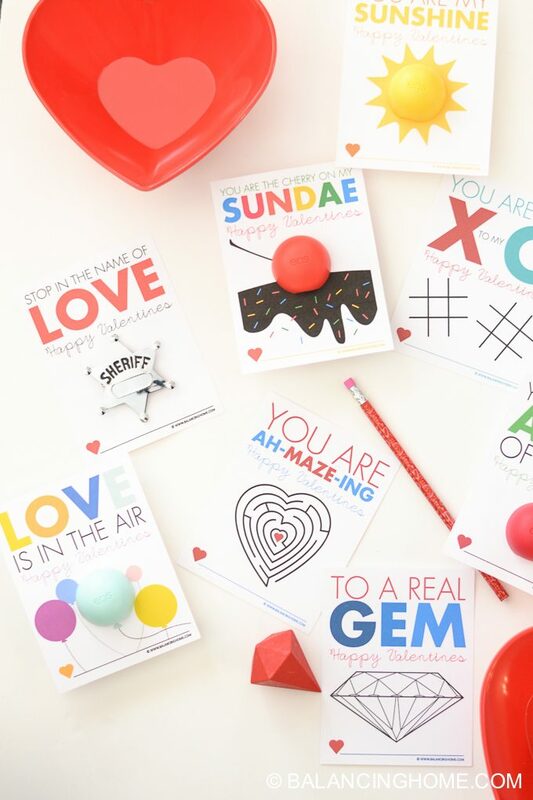 Along with not hopping the kids up on sugar, you can also keep them busy! 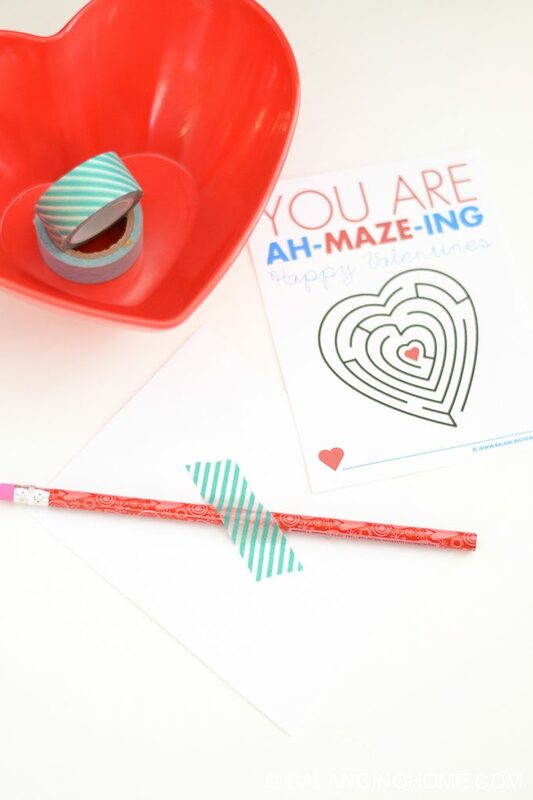 Download the printable, You are ah-MAZE-ing valentine/activity by clicking on the orange box below!